Winter is not the best time for travelling. Sometimes it can be freezing cold, uncomfortable, dull and grey. But one of the benefits to travel during this time of the year is to see things the other way. 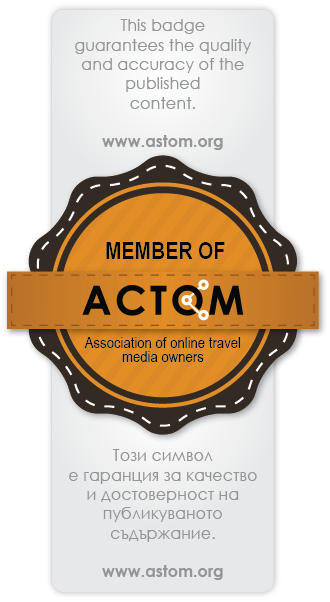 Last week my friends from ASTOM and I went on a weekend trip to the southern Rhodope mountains in Bulgaria. We stayed in Chepelare, close to Pamporovo – one of the biggest Bulgarian ski resorts. We travelled a lot, took photos, ate local food and had fun. Below are some of the best things about visiting this part of Bulgaria. Ever thought of changing the office view a bit? The mountain is the perfect place not only for hiking or skiing but also for finding inspiration. Fresh mountain air, quietness, and beautiful views make you more concentrated and productive. The CoWorkation camp is all packed up with fast internet, separate offices, but also open space, conference halls, relax zone, kitchen and all the things needed for a real office setting. Just like a city office, but in the mountains. Our trip included visiting the popular ski resort Pamporovo and the television tower. We were probably the only one on the line for the lift not carrying ski but our cameras and smiles instead. We went up to Snezhanka peak, where the ski slopes begin. The tv tower is 156 meters long and it was built in 1973. The cost for the entrance is 5 BGN and a lift takes you to the top. There is a restaurant with a panoramic view and also a balcony. Situated in the central Rhodopes mountain, Smolyan is one of the longest Bulgarian towns. There is an old part of the city where authentic old houses from the Revival period could be seen. Another attraction in Smolyan is the planetarium A visit to Smolyan definitely has to be accompanied by local food. We tried ‘sudzhuk’, patatnik and Rhodopian klin which is similar to banitsa, but with different ingredients. The typical klin is prepared with rice, eggs and white cheese. Back in Pamporovo, we drank wine in an igloo. Yes, you heard right, an igloo, but made of wood. You can also sleep under the stars in one of them. This igloo is warm and suited for sleeping and it is definitely an interesting experience. Leaving Smolyan and Pamporovo, we stopped at "Narechenski bani" for breakfast. We had giant "mekitzas" at “Solenoto izvorche” restaurant. "Mekitza" is a traditional Bulgarian food made of dough. It can be combined with white cheese or jam and it is a favourite breakfast for adults and kids. Every trip ends with something you take home. Driving from Chepelare, on the way we noticed locals who were selling honey and jam, homemade yoghurt, “sudzhuk”, mountain herbs and souvenirs from the region. Don't hesitate to stop and buy a jar of honey directly from the producer. These are some of the cool things typical for this part of Bulgaria. Winter is just a season and you shouldn't be afraid to plan a trip when it's cold. The Rhodopes will fascinate you, so enjoy their beauty and don't forget to come back in the summer. Wonderful post with beautiful pictures ! Love the homemade production ! Glad you like this post, Helena! Homemade production is always the best. Enjoy your week too! Страхотни снимки, направо се пренесох за момент и аз там! :) А за "клин" за пръв път чувам и задължително ще го пробвам при първа възможност! Oh wow, sounds like you had a brilliant time and you made the best out of the lousy winter. LOL! I really need to visit a ski resort, hopefully in the next couple of years. I don't ski but I would love to learn how to. Yes, we had so much fun! We didn't ski either, but there were many things to visit and see. While it's true that winter isn't the most ideal season for traveling, it seems like certain trips like this really make the most of the season. Sany, your visit Rhodope mountains looks like it was such a fun adventure and an incredible way to experience the beauty of winter. The views of the snow covered tress are just beautiful. Hope you've been well my friend! Thank you Rowena. This trip was so much fun, and yes, winter in this part of Bulgaria is beautiful! The views from the top are amazing! Looks like you had a fantastic time. I've said it many times, and I will say it again - you are always welcome to come and visit me. Yes, sleeping in an igloo must be a cool experience. Thank you for your kind words, Lilli! Rhodope Mountains are beautiful in winter. Great pictures . Well done . Thanks, Tijana. I am really happy you liked this post and the photos. 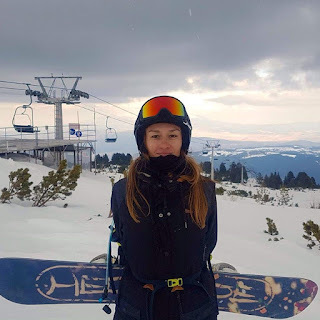 I started snowboarding 2 years ago and winter became my favourite season, snowy mountains became my favourite place! It's absolutely magical! Pamporovo is so stunning. This is such an amazing trip you had. I feel like winter is the ideal time for travels hehehehe. Especially when there's such a nice dusting of snow. Of course this is coming from an Aussie who never experiences it so it's always going to look so dreamy to me. Hah, not in Bulgaria though. It's cold and snowy most of the time.